dave east pvrx PVRX Collabs With Labelmate Dave East For His Latest Single "Is U Down"
PVRX Collabs With Labelmate Dave East For His Latest Single "Is U Down"
Pvrx is a name out of Toronto you should start getting familiar with ASAP if you haven't already. He's built a strong buzz for himself over the years which ultimately led to the rapper's deal with Def Jam Recordings. 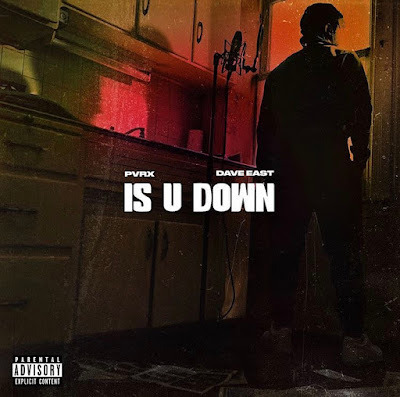 Pvrx unleashes his new single, "Is U Down" with fellow Def Jam signee Dave East. Pvrx and Dave East connect on their new collaboration "Is U Down." The rising Toronto star taps FrancisGotHeat for the atmospheric production. Pvrx delivers an upbeat, melodious track where he questions the loyalty and intentions of the people around him, specifically the woman in his life. "Is you down for the come up?/ 'Cause you know you gon' wanna be around when my funds up," Pyrx sings on the hook. Dave East swoops in with a verse, expanding on Pyrx's sentiment on the hook. Be on the look out for the official visual to be released soon.